A Delhi court on Monday extended the judicial custody of ousted All India Anna Dravida Munnetra Kazhagam (AIADMK) leader T.T.V. Dinakaran till May 29. Dinakaran was produced before a Delhi court through video conferencing. Earlier, the Delhi Crime Branch recovered Dinakaran's five bank accounts from Chennai, through which transactions of huge amount were carried out, after which the police sought for further remand of the ousted AIADMK leader. As per sources, most of the amounts were paid to a Hawala Operator. Dinakaran's Chartered Accountant was also called by the crime branch for questioning in the matter. The crime branch officials also recovered mobile phone of alleged middleman Sukesh Chandrashekhar from Chennai and also found the details of communication between Chandrashekhar and Dinakaran. Dinakaran had reportedly, through Chandrashekhar, sought the 'Two Leaves' symbol of the AIADMK by allegedly trying to bribe an Election Commission official. The Crime Branch recovered approximately Rs. 1.3 crore and two luxury cars, a BMW and a Mercedes from Chandrashekhar. 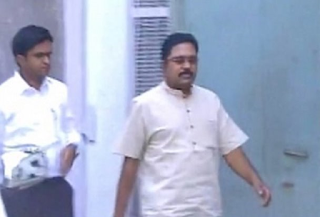 During his third day of interrogation by the Crime Branch of the Delhi Police, Dinakaran finally accepted that he met Chandrashekhar, the man alleged to be the middleman in his bribery dealing with the Election Commission. Dinakaran, sources said, initially refused to have known Chandrashekhar.